Fly by Deco Drive pendant necklace by Stephen Webster. Polished 18-karat rose gold chain and hardware. 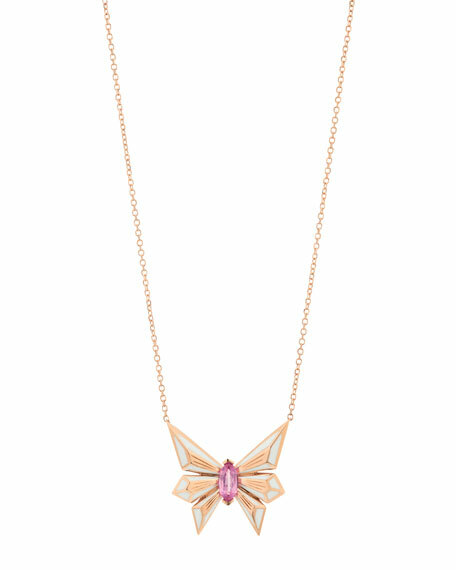 Integrated pink sapphire butterfly pendant. Center marquise sapphire with white enamel. 0.28 total sapphire carat weight.